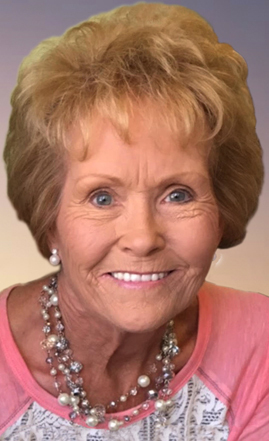 Memorial services are scheduled for 10 a.m. Friday, April 21, at First United Methodist Church for Barbara Ann Cardwell of Artesia. Cardwell, 75, passed away Friday, April 14, 2017, at her home, with her children and grandchildren at her side. Rev. Monty Leavell will officiate at the services. Cremation has taken place under the direction of Terpening & Son Mortuary. A private family inurnment will take place at a later date at Woodbine Cemetery. Barbara was born Aug. 19, 1941, in Vernon, Texas, to Dalton Townson and Iola Beatrice (Johnson) Cox. On May 26, 1961, she married Olen Travis Cardwell in Denver City, Texas, and the couple moved their family to Artesia in 1976 from Hobbs. Barbara worked as an accounting administrator for Navajo Refining Co., retiring in 1990. In retirement, she spent her time decorating the family home, meticulously grooming her yard, and doting on her family. She was a member of First United Methodist Church. Both she and Olen were former members of the Elks Lodge and loved to dance. Barbara was active with the parents and boosters when her children were attending Artesia High School, was an avid supporter of the March of Dimes, and helped many Republican candidates with their campaigns. Each summer, Barbara looked forward to attending the annual family reunion. Her greatest joy in life was spending all the time possible with her family and being Nana to her grandchildren and great-grandchildren. Survivors include son Greg Cardwell and wife Melany of Artesia; daughter Shay Ray and husband Randy of San Antonio, Texas; sisters Janell Buchanan of Levelland, Texas, and Delta Howard and husband Bobby of Arizona; brother Ray Cox and wife Janie of Azle, Texas; grandchildren Aubany Porter and husband Blair of Artesia, Travis Ray of Houston, Texas, Kayla Cardwell of Artesia, and Kameron Cooper and husband Andrew of Hilltop Lakes, Texas; great-grandchildren Hudson Porter, Jack Porter, Brady Cooper and Klaire Cooper; and numerous cousins, nieces, nephews, and dear friends. She was preceded in death by her husband, Olen Cardwell, on May 25, 2014; her parents; sister Betty Culwell; and brother A.G. Cox.